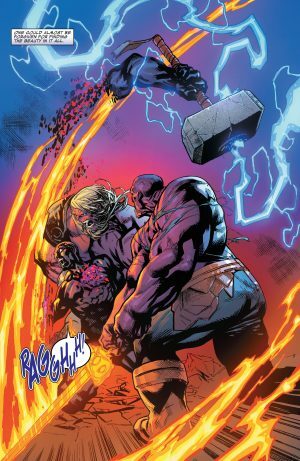 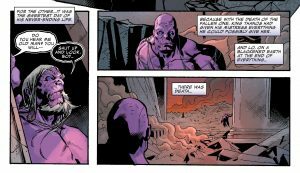 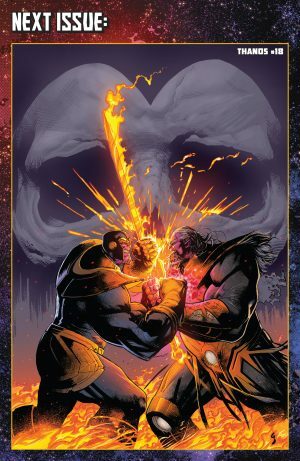 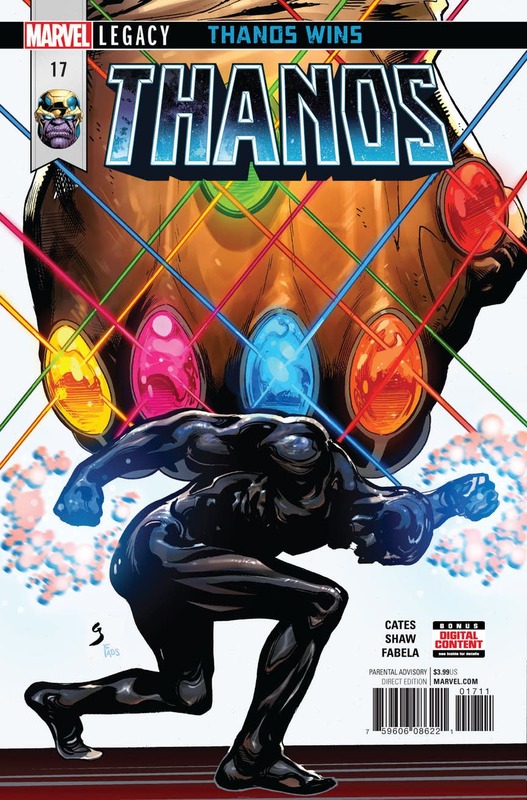 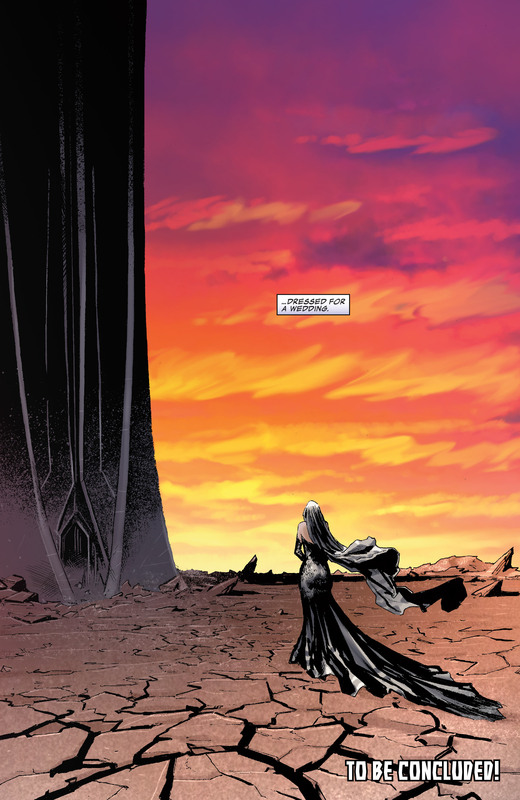 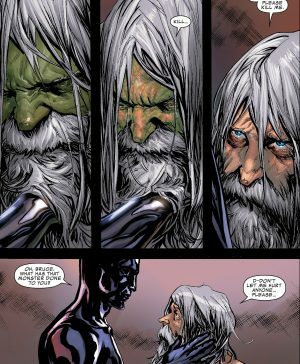 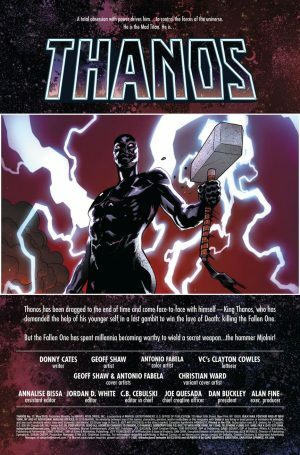 Marvel Comics Legacy and Thanos #17 Spoilers follow. 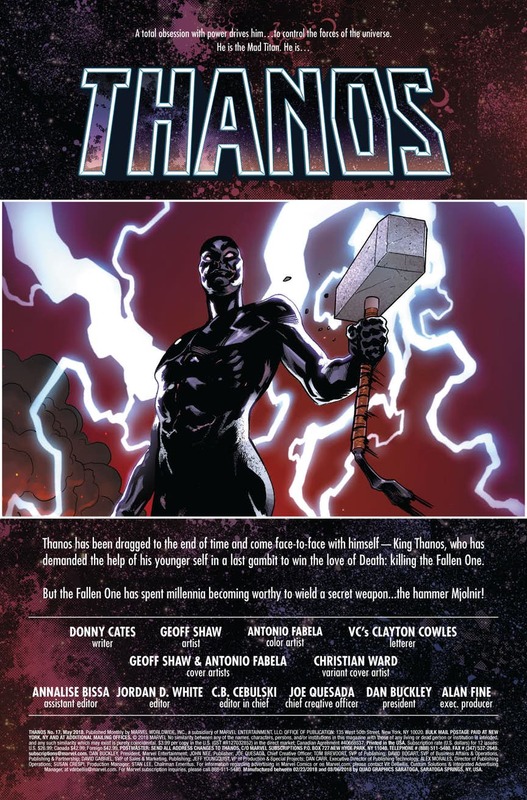 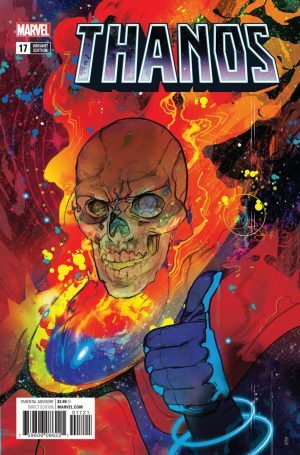 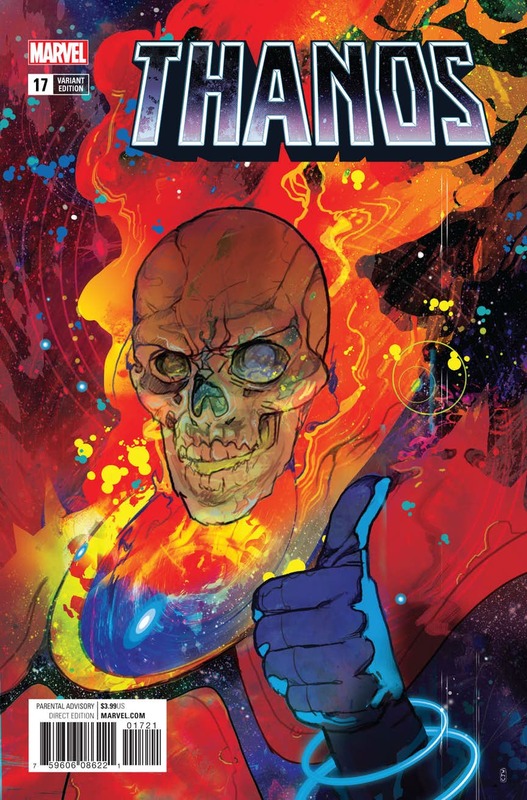 Fates Of Silver Surfer Thor, Cosmic Ghost Rider Thor and Maestro Immortal Hulk Revealed? 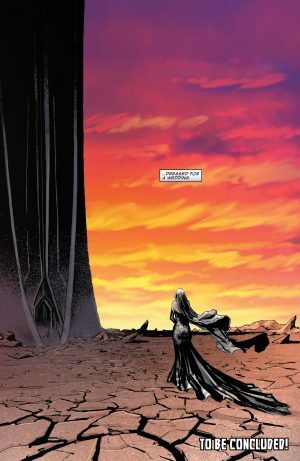 We open with the usual summary / story catch-up page with creator credits. King Thanos of the future and modern day Thanos flung into the future battle the Silver Surfer who now wields Thor’s Mjolner. 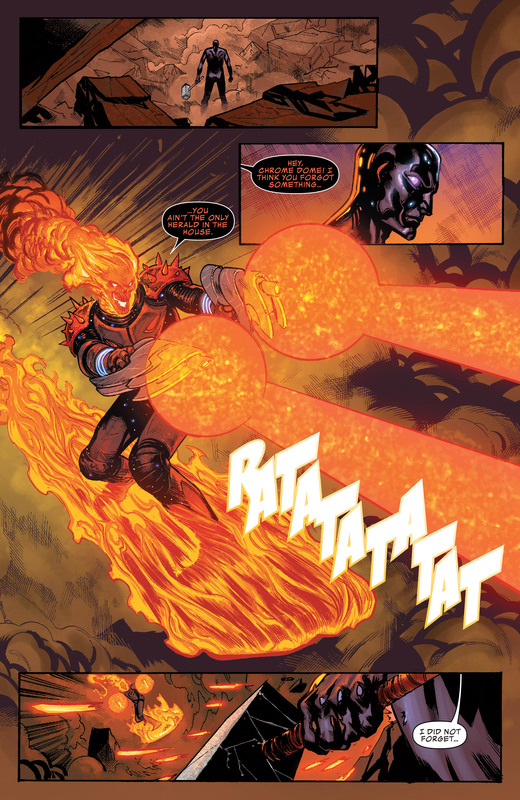 They are supported by King Thanos’ herald, formerly Galactus’ herald, the Cosmic Ghost Rider (formerly the Punisher). 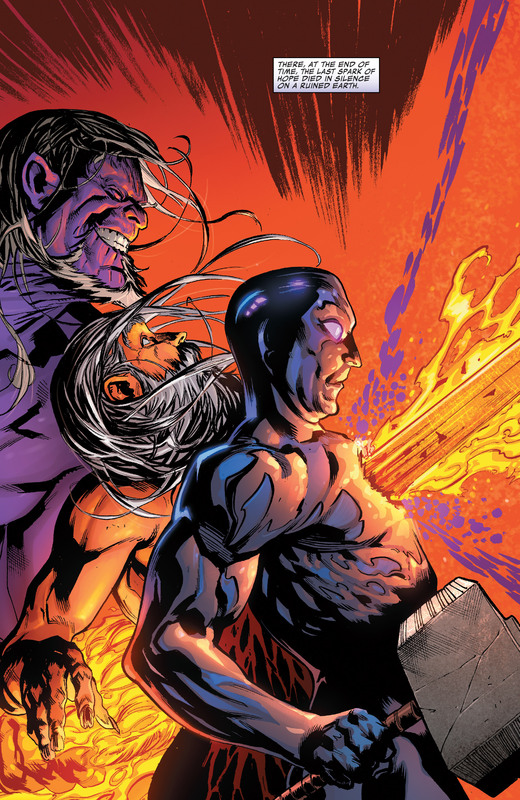 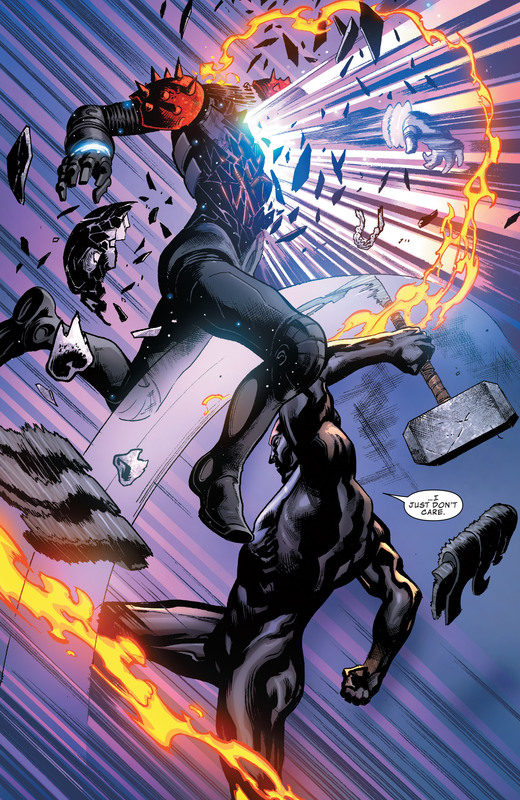 The Thor powered Silver Surfer seemingly kills the Cosmic Ghost Rider before his mini-series even begins. 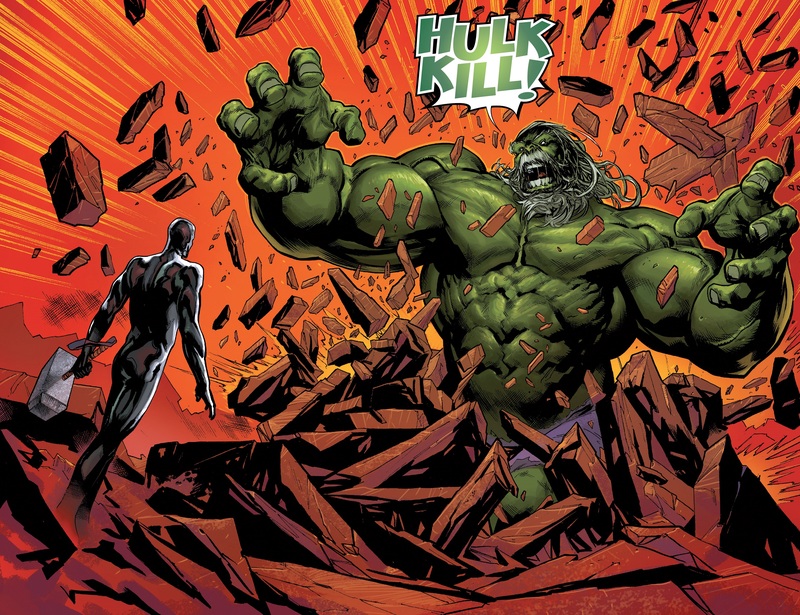 Then enter the future’s Immortal Hulk, the Maestro. 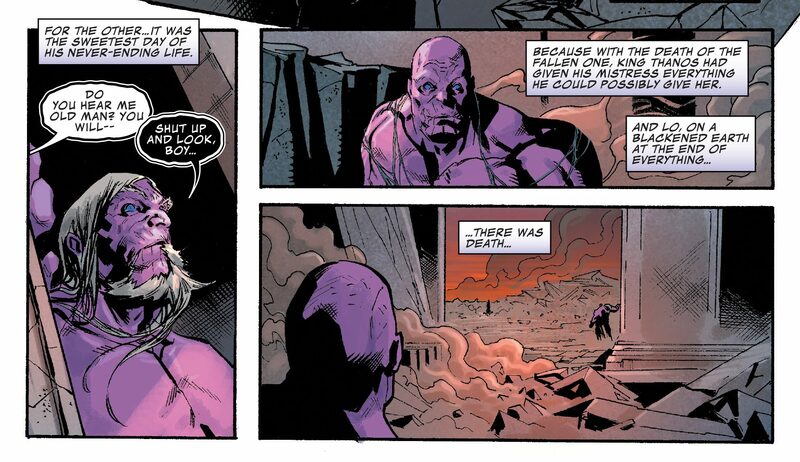 …which also leads to the Mjolner wielding Silver Surfer’s death.